With everyone patiently waiting for Summer 2014, Sportswear giants Nike have given us something to look forward to this Summer by previewing their 2014 Barefoot Air Max Collection, set to drop in April as part of their Spring/Summer releases. A lighter alternative to the more classic silhouette, the Nike Barefoot releases – a combination of a light Air Max 90 and Air Max Light – are composed of mesh material at the upper and secured with Nike Hyperfuse/TAPE technology that provides ventilation for maximum barefoot functionality. 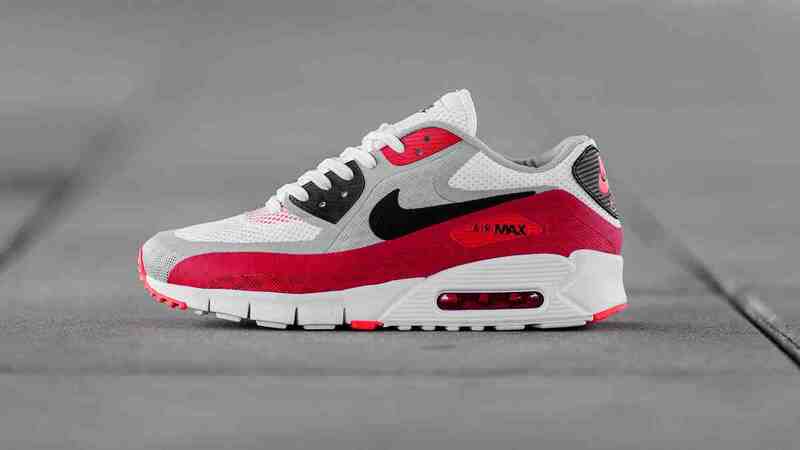 The new Air Max 90 will be available in a combination of colours such as white, black, wolf grey and university red while the Air Max Light will be available in white, university red, team red and a dark grey palette.